It’s not hard to start a RV rental business. In fact, it’s downright easy to start your own RV rental business. Here are 5 Steps to starting a business. Use your existing RV and you’re in business for zero investment. I’m partial to buying used. There are so many people who buy new and then realize that the RV they purchased doesn’t work for them. The seller has taken the depreciation AND they’ve worked out most of the bugs that almost all new RV’s have. So, buy used when possible and look for a deal, there are many out there. When buying a used RV; travel trailer, 5th wheel, or motorhome, shoot for 1 to 2 years old and do your research. 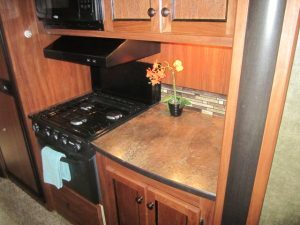 RV Trader and Craigslist are good places to look. When you zero in on the right rig, use this PDI (Pre Delivery Inspection) checklist offered by Changing Gears. Also, buy a 5th wheel or travel trailer, as opposed to a motorhome. Why? Because as you’ll discover, the safest RV rental is a delivered RV rental. If you let the renter drive or tow, it’s going to get damaged. With a “tow behind”, delivered RV rentals save time and money. 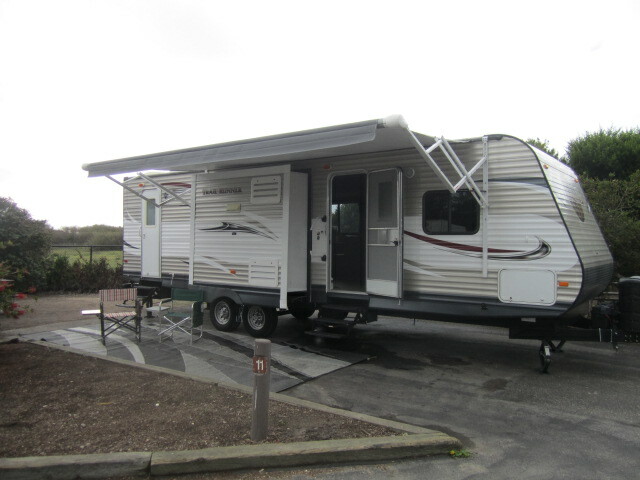 Delivering a travel trailer or 5th wheel is easy: Park it, unhook, set up, drive away. When the rental period is over, drive back to the campground and pick it up. Easy! It’s harder to do with a motorhome because you’ll need a tow vehicle or a ride back to your home after setting up. 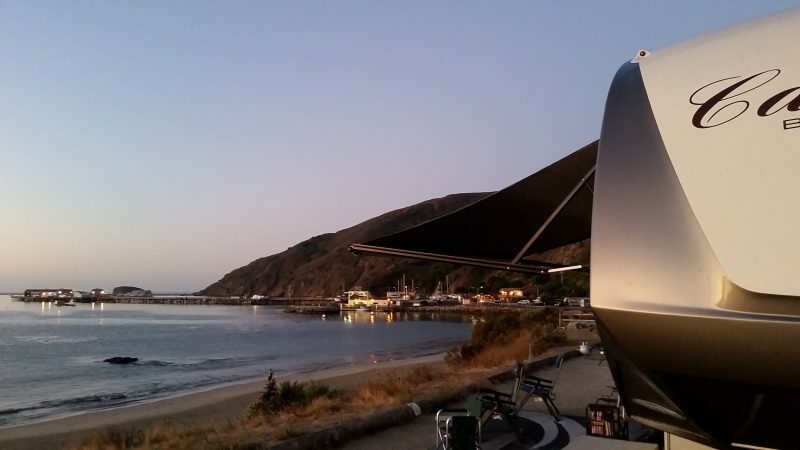 Just like baby proofing your home, you’ll want to “rent proof” your travel trailer. 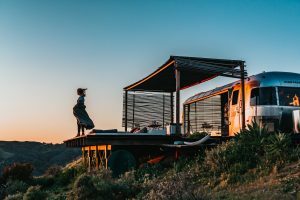 Yes, this will be your own home away from home while camping with your family, but keep in mind that renters don’t like a lot of personal items taking up space. 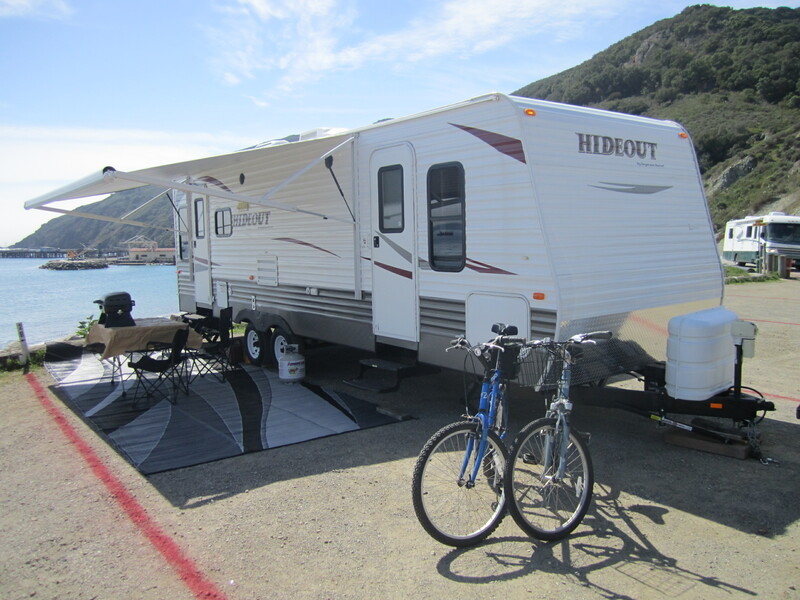 Items to keep/leave in your recreational vehicle: Broom and cleaning supplies, pots and pans, dishes and silverware, spices and cooking oil, DVD’s for kids, camp table/chairs, coffee pot, cups and dish towels, toilet paper, hand soap, foil, paper plates, etc. (you get the idea). Items to leave out: (Personal items) Clothes, shoes, jackets, toothbrushes, toys, perishable food, personal photos, knick knacks, “R” rated DVD’s, etc. 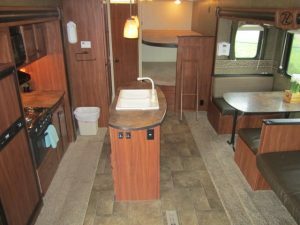 The idea is to make your RV space as comfortable and usable as possible, while leaving it clutter free. Think about what a 5-star hotel room offers and duplicate that model as much as possible: Nice linens, towels, pillows, soaps, shampoo, etc. The space should be clean and orderly. This is also easy and RVPlusYou makes it even easier. Listing in classifieds is temporary, and can be expensive. 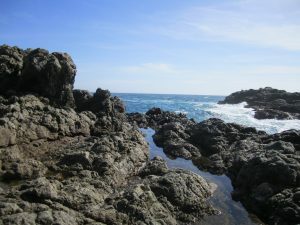 The RVPlusYou.com platform allows you to manage your bookings, calendar, reservations, etc., and yes it’s free to list. For more information, click here. You may also want to download the Playbook for RV rental advice. Make sure you list in locations where you are willing to deliver. If you’re only willing to deliver within a 30 mile range of your home, list at those campgrounds and RV parks that will be a good fit for your size travel trailer or 5th wheel. You should include a listing for your home city, even if you think no one will want to rent there. Why? Many people need extra space at their homes for family reunions and wedding events. When they search, they’ll search your city’s name and “RV Rental”. Always make sure you price your rental right. It needs to be competitive, but also needs to fit within your lifestyle. What would the delivery and set up work be worth to you? Price it simple, price it right. You don’t have to be a sales person to do this business, but you should get the word out to friends and family. Why start a business and not share the news? Facebook, Twitter, Instagram, Pinterest and other social media platforms are a great way to let friends and family know that you’ve started a business. Ask them to forward your listing to their friends and family. 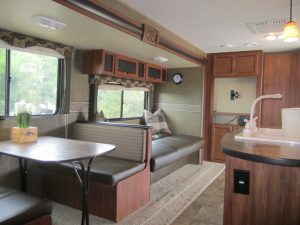 As a business, you’ll get to write off many of the expenses that come with owning an RV; storage, repairs, maintenance, insurance, etc., but you’ll be required to report income, track expenses, pay taxes, etc. It’s not hard and the IRS does allow certain deductions that you’ll want to take advantage of. So you’ll want to set up your business as a business. Consult your legal and tax professionals to be sure you’re getting the most out of your new venture! 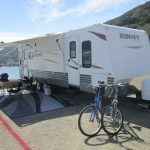 Starting your own RV rental business requires some thought and planning but can be an excellent way to earn side income or more.